A lot of people neglect the regular cleaning of their carpets. If you are one of them, and don’t have the time or the knowledge to properly clean your carpet, you can always rely on our professional services! Our company is occupied with carpet cleaning in SW12 Balham. We are very experienced and professional. We use the best cleaning procedures and we approach each item individually. We make sure our service corresponds to your needs completely! We offer 24/7 customer support, professional equipment, free quotations, high quality results and much more! Our cleaning sessions are done on site. We offer free consultations over the phone. If you are interested in our packages, get the phone and dial our contact number straight away! Just so you know, our carpet cleaning service in Balham is thorough! 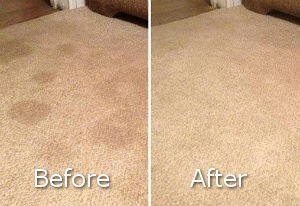 It has a few steps that when carried out leave carpets fresh and stains-free. You should definitely give us a try! ﻿The first step of the cleaning procedure is to examine the item and find out the nature of the contaminants. Then we examine the fabrics and we decide which products are the best in your case. The second thing we do is extracting any dirty particles by vacuuming the carpet area. This way we are able to treat the stains better! The next step is to extract dirty spots and stains by using a machine based on hot water extraction. This method is safe for your carpets and is very effective in different cases! 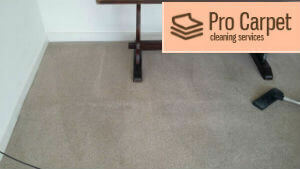 After these procedures we dry clean the carpet, which does not take a lot of time. Then we deodorise the cleaned areas and we apply a protective spray layer that repels any future stains and the accumulation of dirt! After we are done with the cleaning process, we inspect the areas with you, and if needed, we can go over any step as much as needed, to achieve the most satisfying results! The whole process doesn’t take a lot of time, but it definitely makes a noticeable change in the condition of your carpets. The colors are brighter, the whole carpet is visibly cleaner and there are no unpleasant smells! You can find us in Barnes, Mortlake and Putney. All the steps are carried out by knowledgeable and experienced cleaning operators who have done that hundreds of times. In addition, we use the best cleaning equipment. Our stain removal products are very effective and strong. 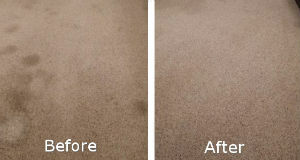 They are harsh on stains and dirt but they are gentle enough on your carpets. We use special formulas without any toxins and chemicals and we assure you that the cleaning solutions are harmless to the condition of your carpet and to your health as well! What’s more, we have powerful hot water extraction machines and vacuums. All off these helpers, give our professional cleaners the opportunity to do their work perfectly and most importantly – efficiently and with long-lasting results! We will discuss the cleaning procedure with you, over the phone, before you make an appointment. This will help us to carry out the best cleaning plan for you. We guarantee fascinating results! If you are interested in our carpet cleaning service in Balham, make sure to let our telephone operators know. We are also available for the residents of other areas like Mortlake, Battersea, Tooting, and so on. Our call centre is open nonstop so that you can schedule at any time you wish. They are ready to answer every question you ask them and will give you the information that you need! We are waiting for you!